Posted on 20/07/2013 by U.N.
After unsuccessfully trying to sell the former Lucchini steel mill in Piombino, Italy for six month government commissioner Piero Nardi plans to shut down the blast furnace and the steel production for good in September. The blast furnace with a capacity of 6600 tons/d was built in 1978 (hearth diameter is 10,6 meters) and would have to be relined by now. The BOF shop contains three 120 ton LBE-CBS(Lance Bubbling Equilibrium – Control Bottom Stirring) type converters. 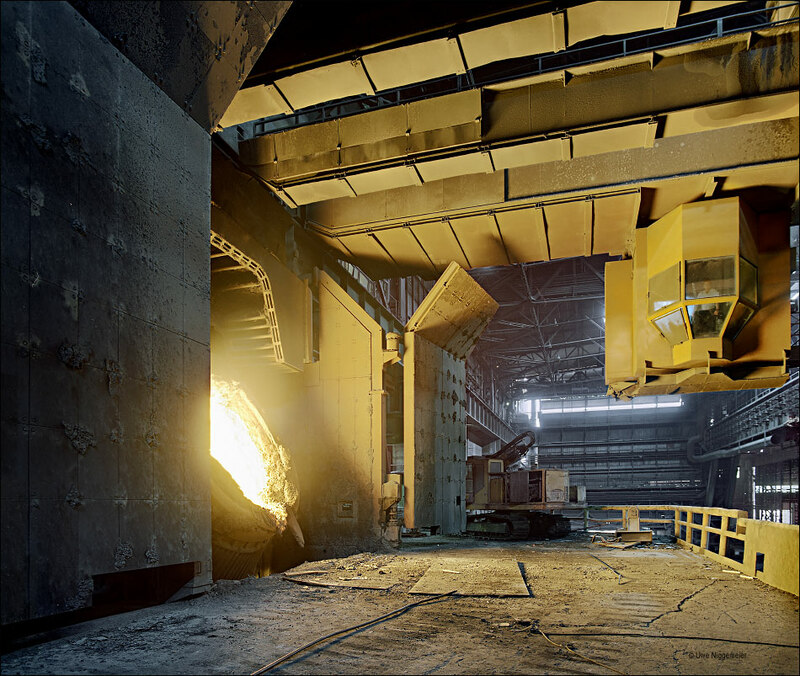 The remaining rolling mills (rail, bar and wire mill) might be sold individually or to an investor who is willing to invest into a new electric arc melt shop on the Piombino site. The Piombino mill produces a loss of 10-15 Mio EUR each month. This entry was posted in Gallery, News, Works and tagged Italy, Lucchini, Piombino, Steel Mill by U.N.. Bookmark the permalink.